Beautiful, drought-tolerant southwest desert plants can add richness and enjoyment to your garden, supplement your edible garden offerings, and enhance the lives of your neighborhood songbirds and wildlife. 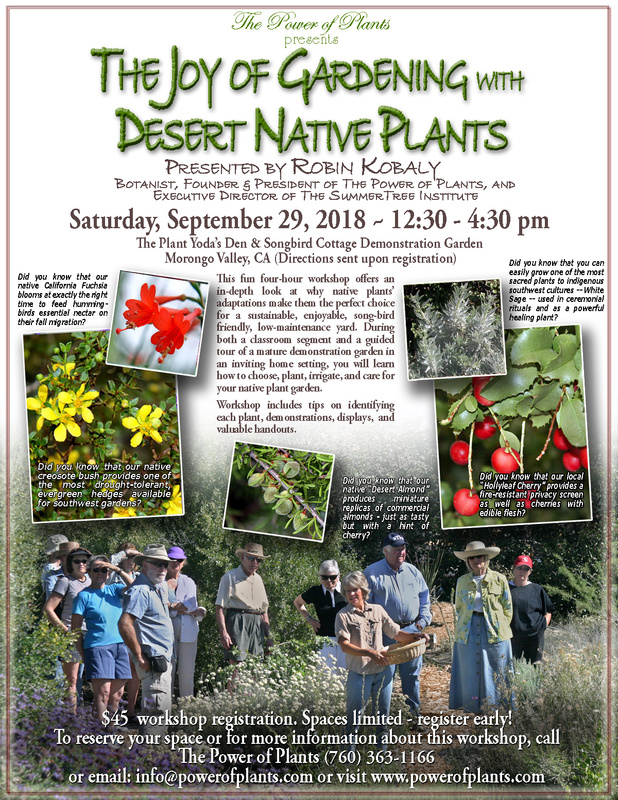 Learn how to plant, irrigate, and care for your native plant garden, with inspiring classroom instruction inside, then move outside into a “nearly native” demonstration garden, with over a hundred examples of mature desert native plants. Our classes and workshops show you easy, fun, and healthy ways to incorporate our native plants into your life. Come enjoy learning with us! 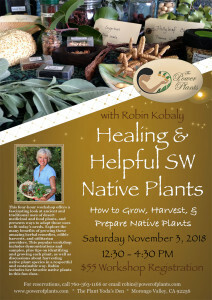 We begin this workshop in the intimate setting of the unique and creative “Plant Yoda’s Den”, the home where Robin grew up, and where her mother, Babs Kobaly, taught her own native plant use classes for forty years. Babs had transformed her home into part apothecary, part art-house, and part fantasy world for her grandchildren, reflecting her passions as a native plant teacher, fanciful artist, and playful kid-lover. In honor of her late mother, the great room of Babs’ home has been remodeled to open it up for classes and workshops on the very topics that she and Babs researched together as Robin grew up. In the classroom, we will explore why native plants are the perfect choice for southwest homes, and why their adaptations are so important for a sustainable, enjoyable, and low-maintenance landscape. 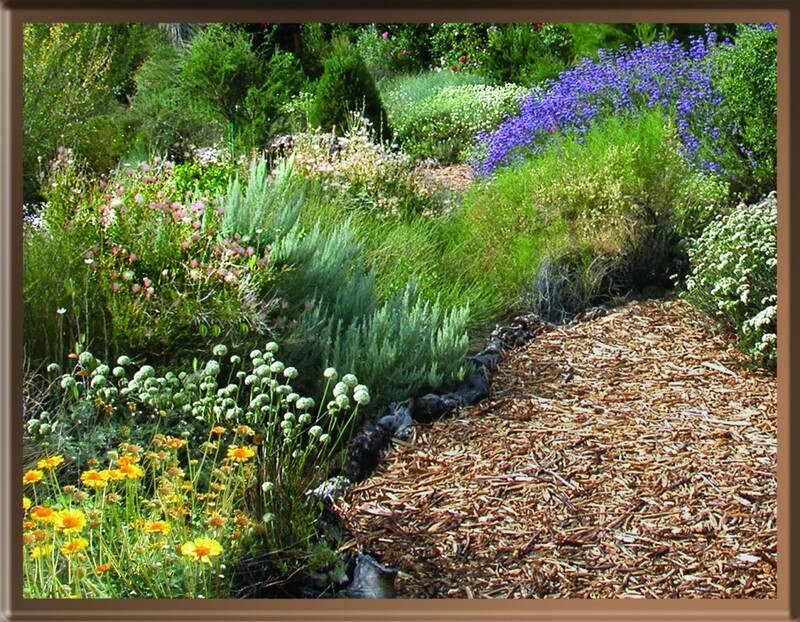 During our workshop, you will learn how to plant, irrigate, and care for your native plant garden. 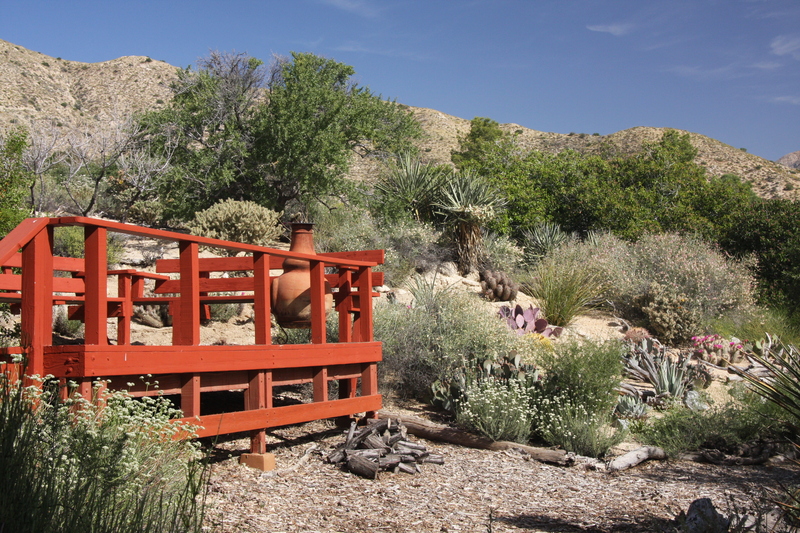 When we move outside to the half-acre demonstration garden, you will see over one hundred examples of mature desert native plants in an inviting home landscape setting, and view firsthand the many benefits of native plant gardening. 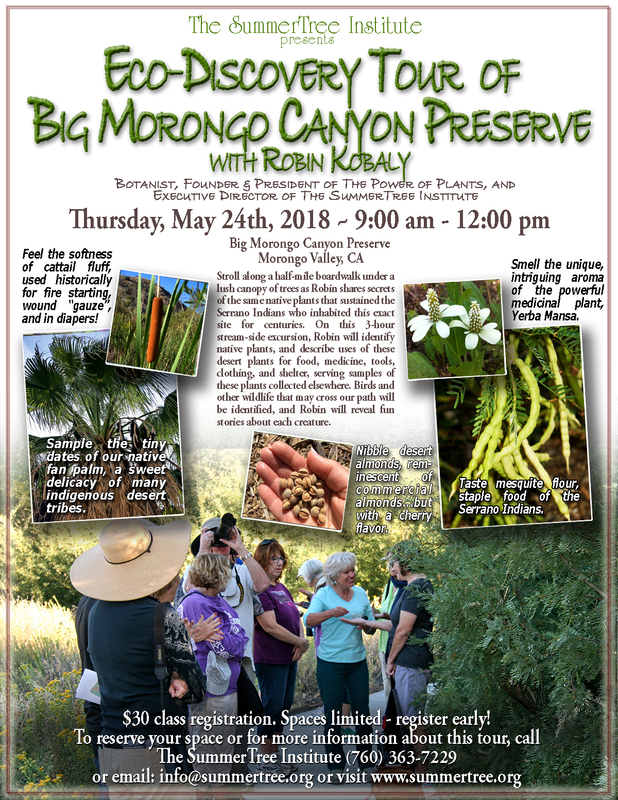 Stroll along a half-mile boardwalk under a lush canopy of cottonwood and willow trees as Robin shares secrets of the same plants that sustained Serrano Indians who inhabited Big Morongo Canyon for centuries. Come enjoy learning about our native plants with us! 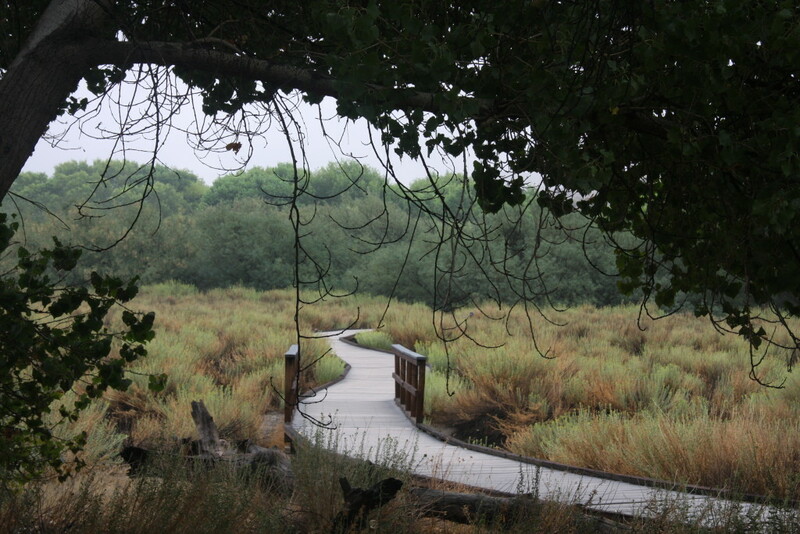 Stroll along a half-mile boardwalk under a lush canopy of cottonwood and willow trees as Robin shares secrets of the same native plants that sustained the Serrano Indians who inhabited this exact site for centuries. Big Morongo Creek flows through the 39,000-acre wildlife preserve in Morongo Valley, now part of the Sand to Snow National Monument, and provides a lush oasis and freshwater marsh for migratory and resident songbirds, bighorn sheep, mule deer, and more. 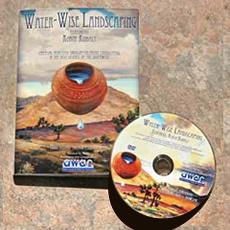 On this 3-hour stream-side excursion, Robin will identify native plants, and describe uses of these desert plants for food, medicine, tools, clothing, and shelter. 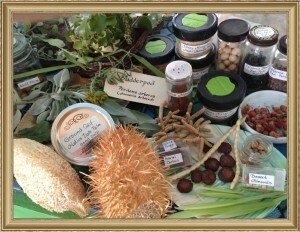 Edible samples of the same plants collected elsewhere by Robin will be shared along the route. You will hear about underground, unseen root partners that connect the plants in the community, which help to sustain the entire ecosystem. Robin will explain how migratory birds travel to and through the oasis in an intricate dance based on day-length cues, hormone changes, stored fat, night skies, and magnetic particles in their brains to arrive precisely at this site each year. Birds and other wildlife that may cross our path will be identified, and Robin will reveal fun stories about each creature. 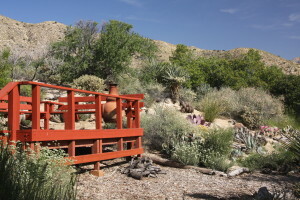 Each tour is unique, exploring different seasonal plants, birds, and trail options. Please call or email to reserve your spot; enrollment is limited to 15 adventurers. 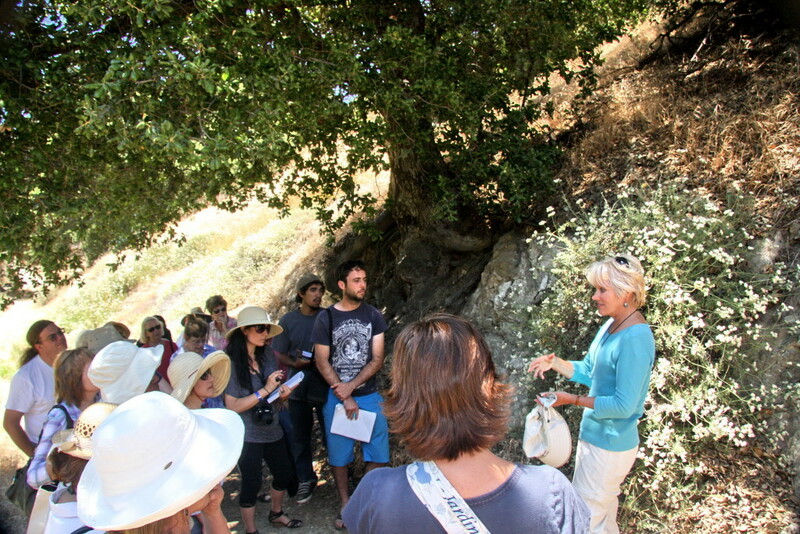 Take a leisurely walk with Robin under majestic live oaks as you learn about the intriguing lives of the native plants, birds, and other wildlife that cross our path during this 2-hour excursion along Smith Creek, a shady riparian woodland lined with Coast Live Oaks, willows, elderberry, and more. Smith Creek flows through the 2400-acre Highland Springs Resort in Cherry Valley, and has provided water to the resort since its early days as a ranch and stage coach stop. Robin will focus on uses of trail-side native plants for food, healing, and utilitarian uses. Also revealed will be the underground, unseen connection between the oaks and all the plants in the community that sustains the entire ecosystem. Birds and other wildlife will be identified, and Robin will tell their interesting natural history stories. 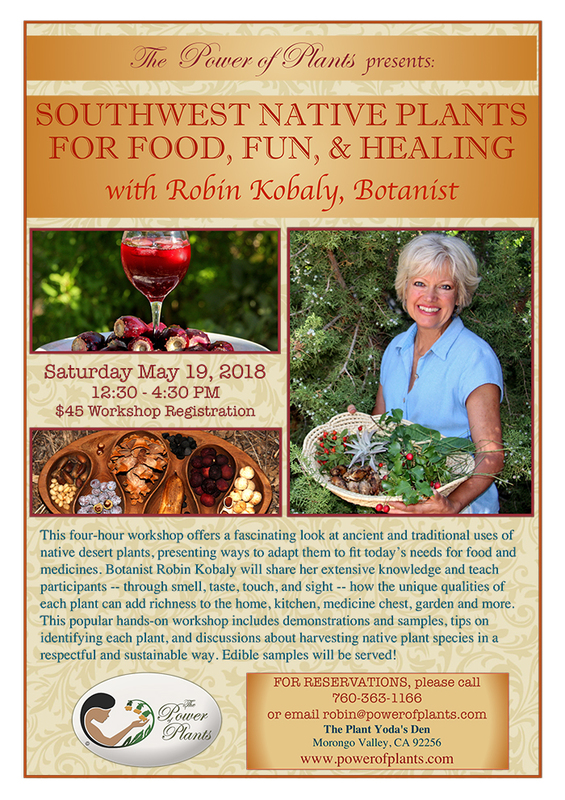 This four-hour workshop offers a fascinating look at ancient and traditional uses of desert medicinal and food plants, and presents ways to adapt those uses to fit today’s needs. Find out why these powerful native plants’ survival strategies make them so useful to us today. 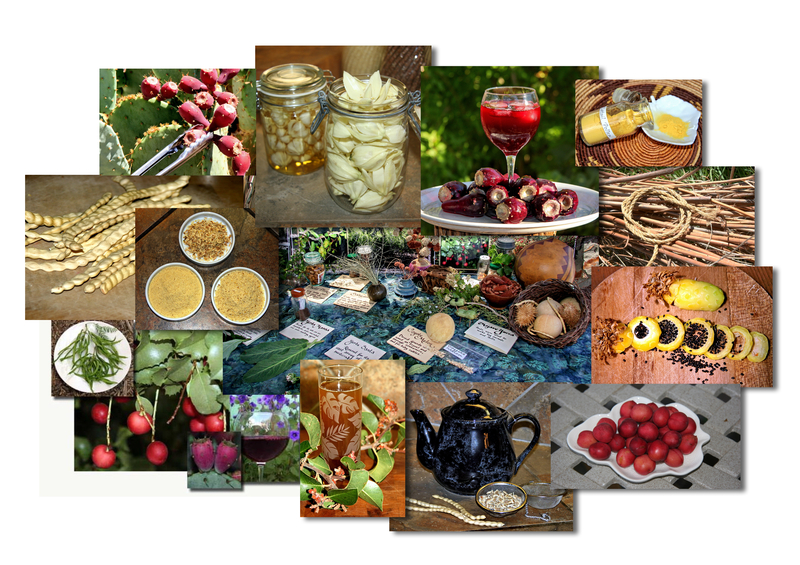 Explore which native food and healing plants can be used successfully and safely, and explore the many other benefits of growing these amazing herbal remedies, edible harvests, and utilitarian providers in your own yard. This popular workshop includes demonstrations and samples, plus tips on identifying each plant, as well as discussions about harvesting native plant species in a respectful and sustainable way.